Banglalink All 3G Internet Packages 2017! Hello dear Friend Banglalink internet users, here is your all Banglalink internet package 2017 on one page. I know that at this time every people know about internet packages, Banglalink is a one of the most leading and most popular mobile operators in Bangladesh. 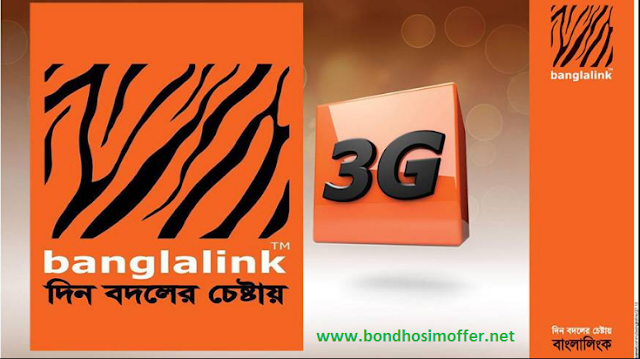 Banglalink regularly publishes all latest Banglalink internet offer and Banglalink bondho sim offer. We are only website that publishes all latest and new all bondho sim offer of Bangladesh all mobile operator. In this post may helpful all Banglalink internet users. In this post we're sharing all official Banglalink all 3g internet Packages 2017. 3% SD &15% Vat+ 1% SC will apply. To renew Dial *5000*566#and reply with 1 to turn on renewal or press 2 to respond to the auto renewal. To deactivate a pack write “stop vol” and send sms to 5000. 90% people using internet browsing 8pm to 12 pm its always . Banglalink 3G Night Time Internet package 2017 its wonderful system. Banglalink 3G its grate perform in Bangladesh at this time. The pack is very easy to learn to pack the night. Banglalink can find all the information here, if you know any information about the SIM you can contact us, or you can stay with us.